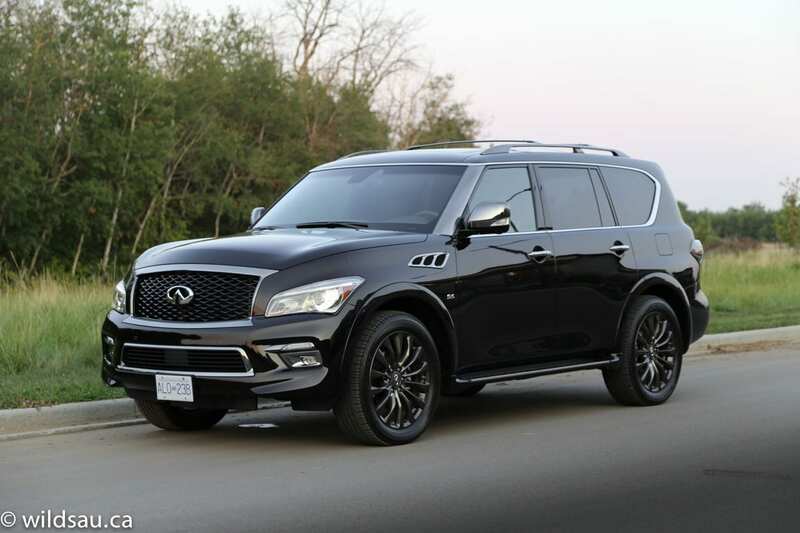 When it comes to the big, dramatic, fully-loaded luxury SUVs category, Infiniti’s QX80 Limited brings its A-game. 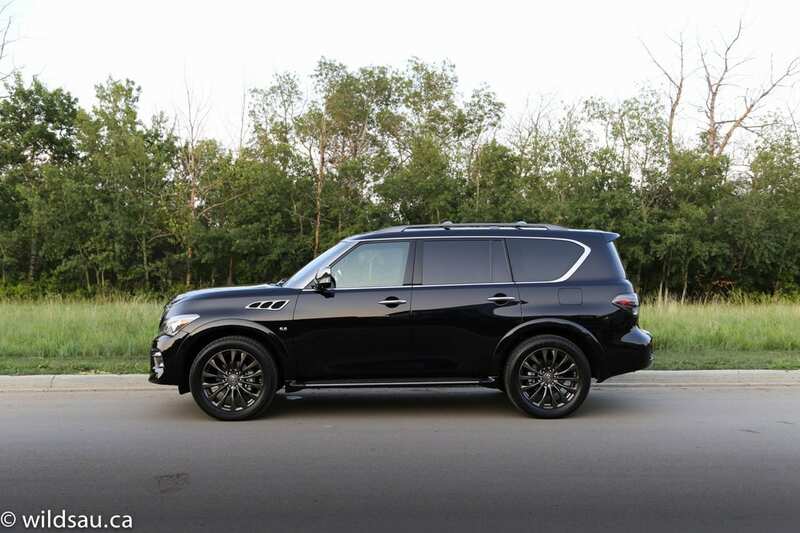 Infiniti says the QX80 starts with a “breathtaking presence”. I won’t argue with that. First of all, it’s huge. And yes, this 7-passenger behemoth’s styling is certainly unique and breathtaking but I found it was love it or hate it. 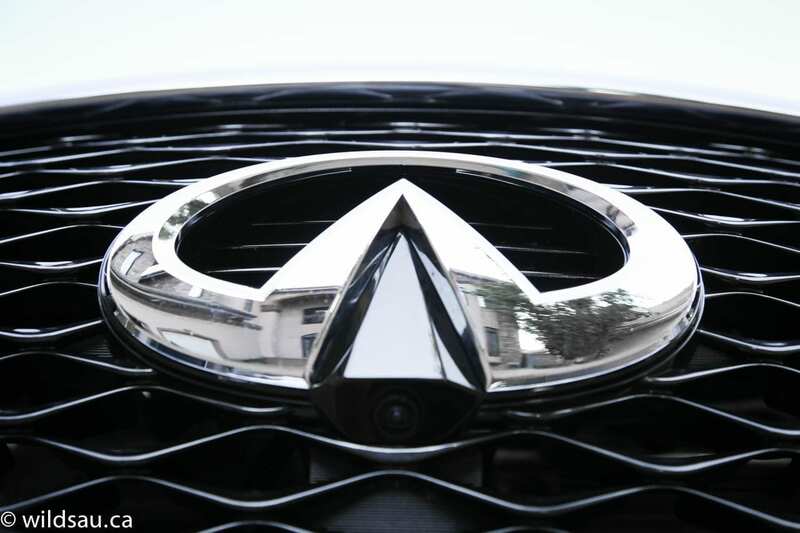 Personally, I’m a fan, but its strange fluid lines are definitely not for everyone, and neither is that front visage – the bold grille and headlight placement reminded me of the sad whale in Disney’s Pinocchio. 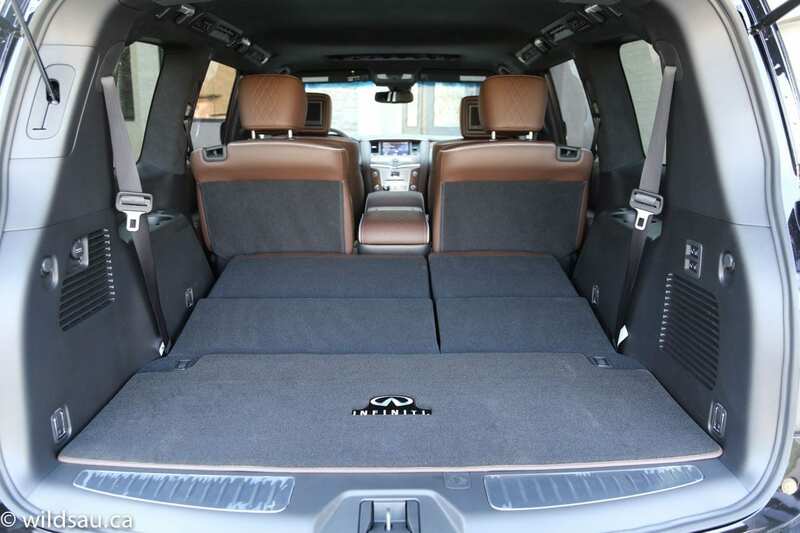 And while it’s not everyone’s cup of tea, it seems that the QX80 does have a lot of fans – it was rated the most appealing Large Premium SUV in JD Power’s 2015 U.S. APEAL study. 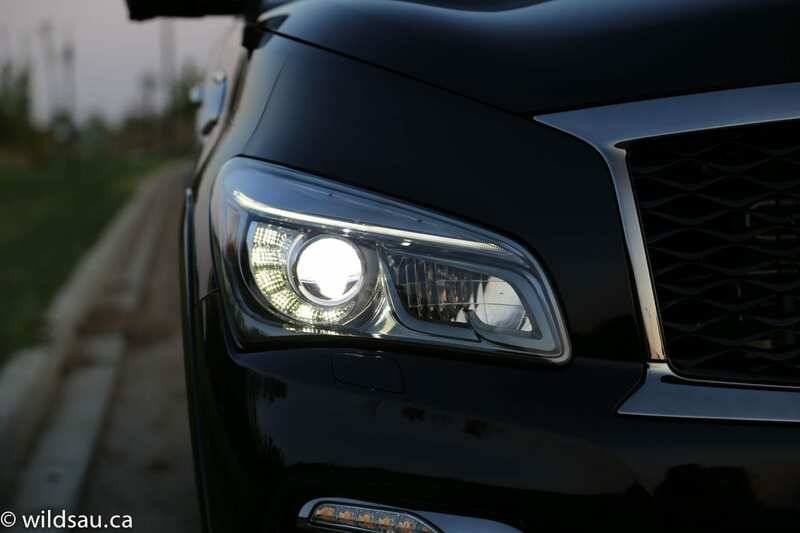 It’ll feel like LED Day on the Oprah Show as you walk around the QX80 – “LEDs for you, and you, and you…” The headlights, the turn signals, the fog lights, the tail lights – everything is LED. The Limited package gets exclusive things like dark headlights and tail lights, dark-finished chrome trim and unique running boards, and the dramatic Imperial Black paint my review sample was wearing – it looks black from afar, but glints with flecks of dark purple in the sunlight. I thought it was beautiful. 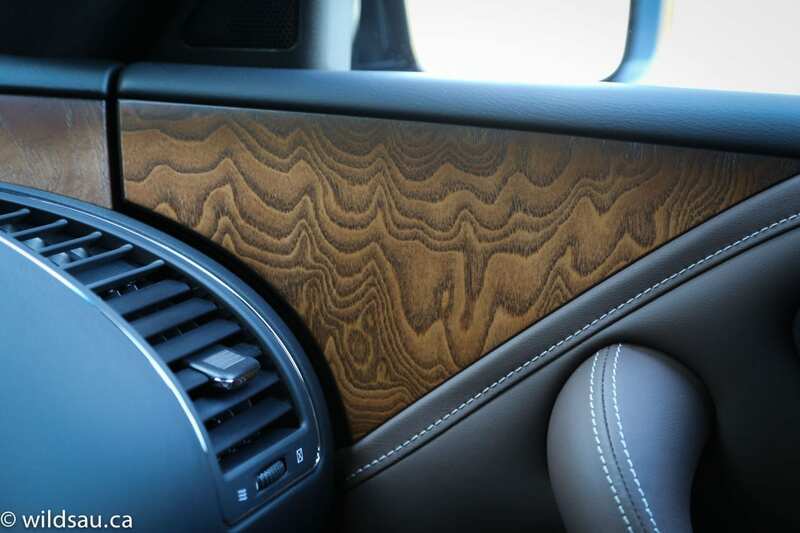 And speaking of dark-finished trim, the whole package is finished off with a set of insane and beautiful 22(! )-inch rims wearing massive 275-50-sized boots. As you get in, it takes a moment for your brain to process the sheer size of this beast and then to take in everything around you. 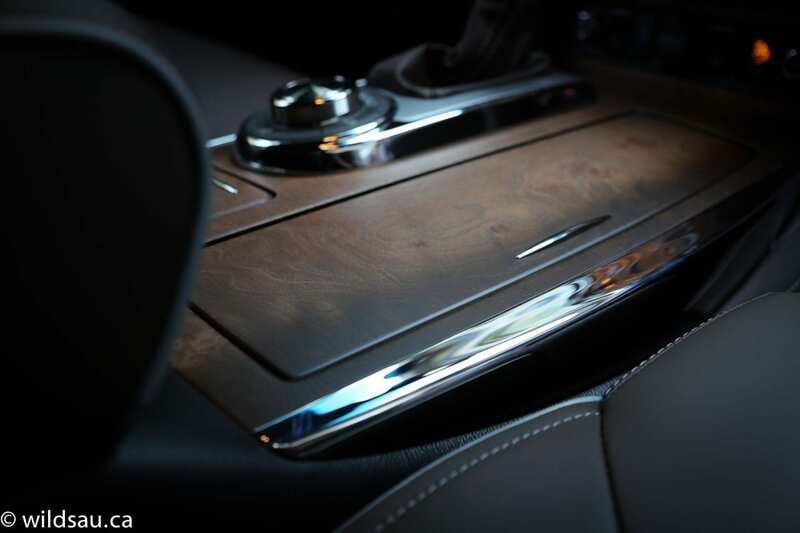 The materials and fit and finish are world-class and the appearance is more akin to a private jet cabin than a road-going automobile. 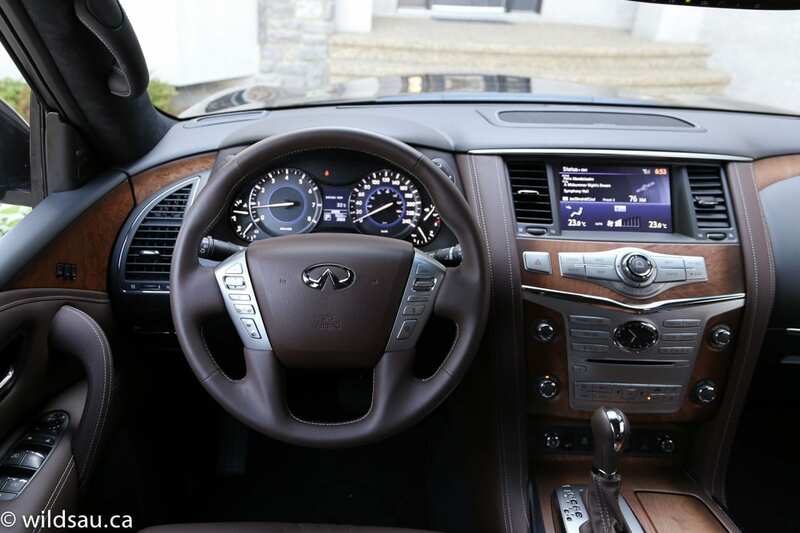 Infiniti has used details like a gorgeous Truffle Brown leather throughout the interior, quilted stitching and contrasting piping, ultrasuede pillars and headliner and the open-pore matte finish ash wood trim (with a cool gradient stain) to stunning effect. 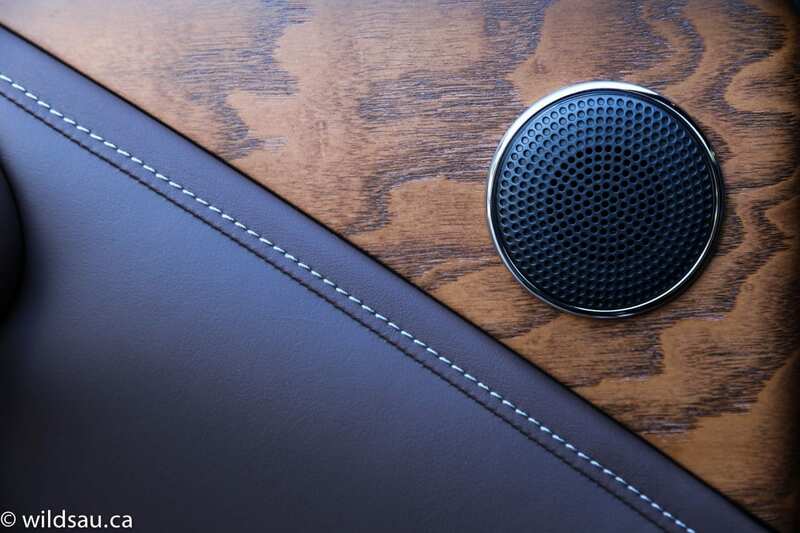 They didn’t scrimp either – even the grab handles and speaker grilles are covered in leather. 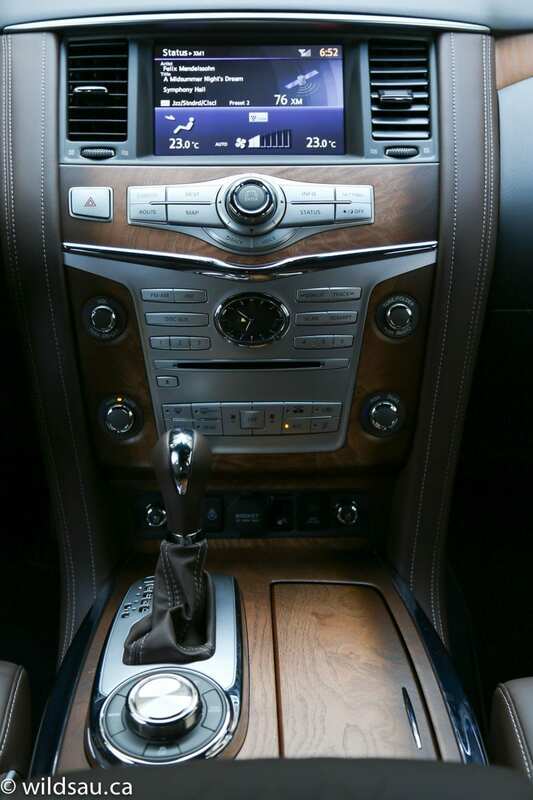 All the luxury touches your heart could desire are here. 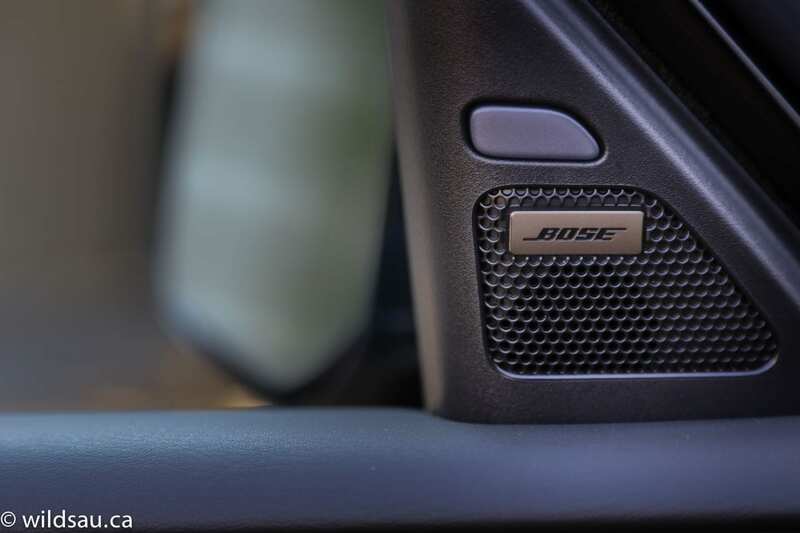 A three-zone automatic climate control system, heated steering wheel, heated and cooled (and infinitely adjustable) seats that are insanely comfortable, a sharp 8-inch touchscreen with navigation and a fantastic 15-speaker BOSE sound system are but a few. The typical sunroof overhead surprised me a bit – a huge panoramic one or a dual sunroof would have been more in keeping with the theme here. 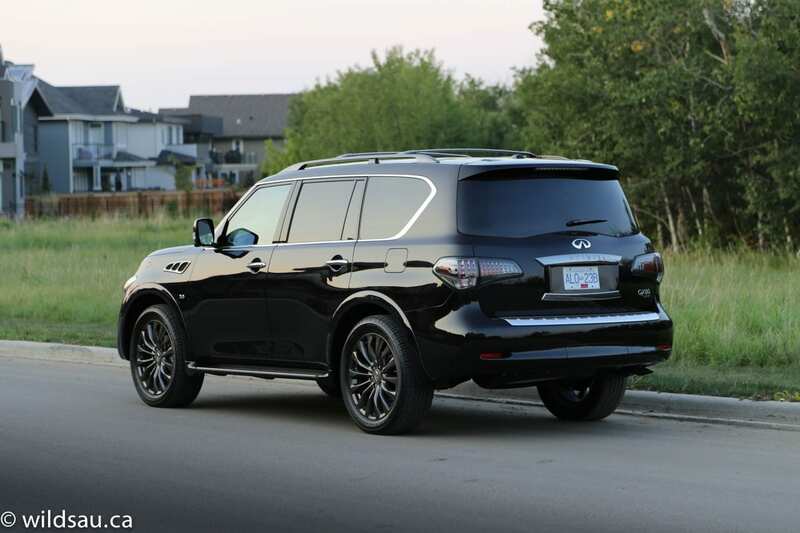 The QX80 bristles with every bit of driver assistance technology you can imagine – an Around-View 360-degree camera with front and rear parking sensors, blind spot warning and intervention, back-up collision intervention, predictive forward collision warning and intervention, intelligent/adaptive cruise control, lane departure warning and prevention – it’s all here. It should go without saying, but the comfortable (and heated) second row seating has tons of head and leg room. The seats recline, but I was disappointed to find that they don’t slide fore and aft in a vehicle of this size. 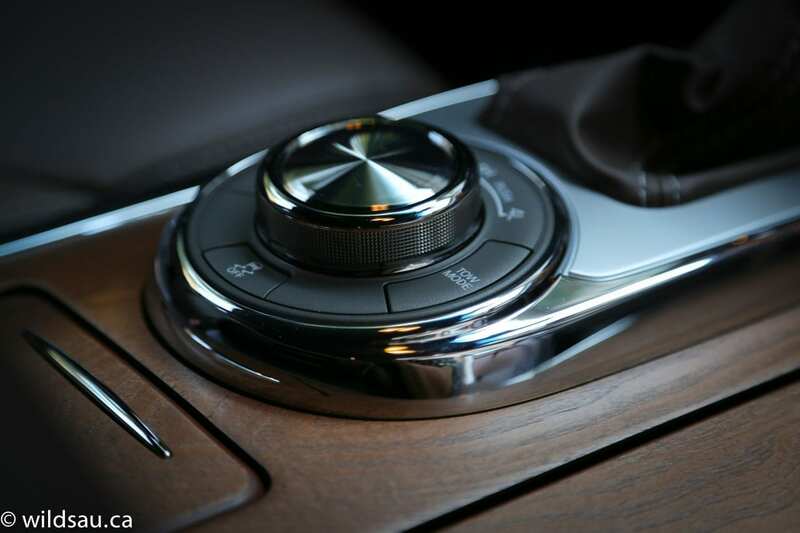 These passengers get access to their own climate control system, as well as 12V and 110V household plugs. 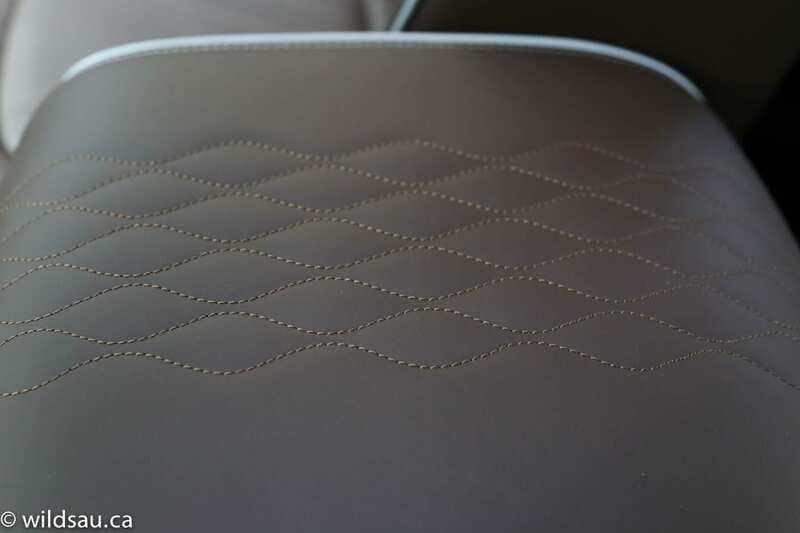 Between the seats is a very well appointed console with quilted stitching, cupholders, plenty of carpeted storage inside and a gigantic storage bin on the front as well. 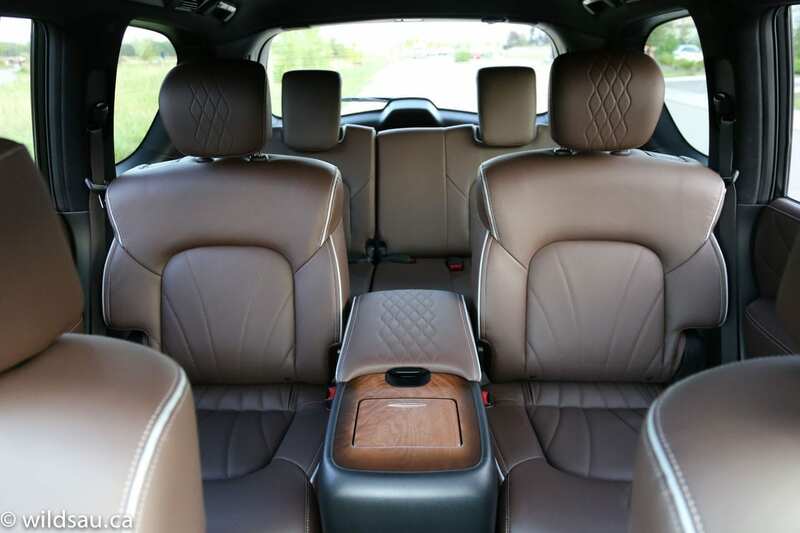 Whether you want it or not, a rear-seat entertainment system comes with your QX80 – two 7-inch monitors built into the front headrests are standard equipment, as are the accompanying wireless headphones and remote control. 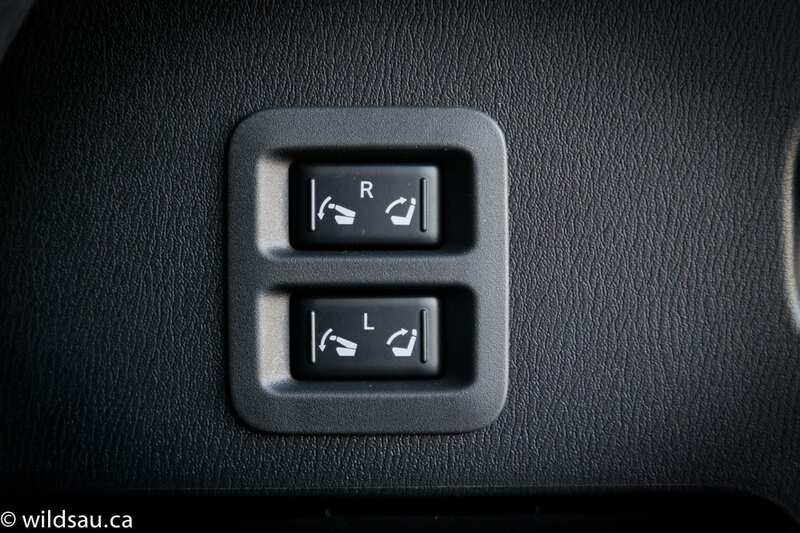 A nice feature – second row can be tumbled forward remotely from the dash to allow for relatively easy access to the third row, even for adults. 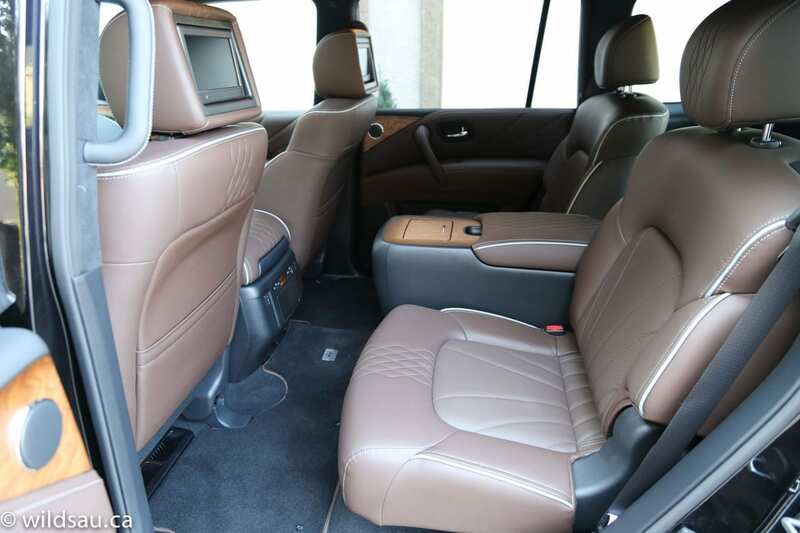 Once you’re in the very back, you’ll find that the seats are big enough to accommodate adult passengers. 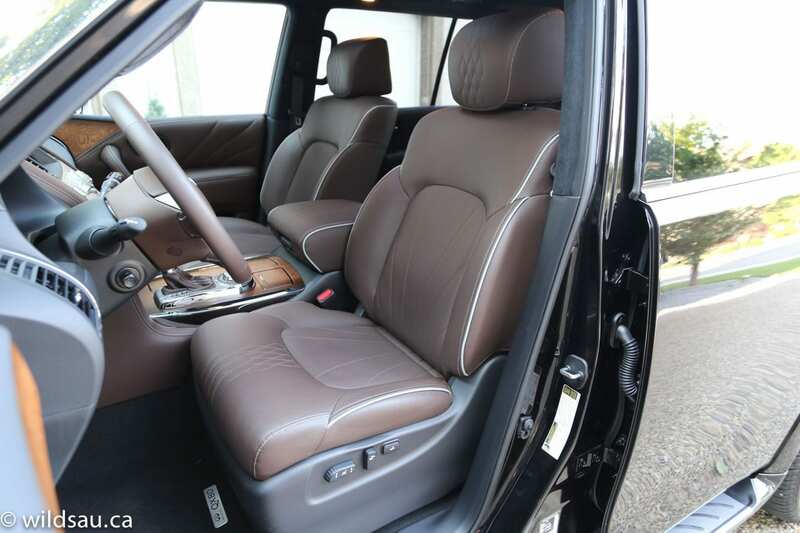 No, it’s not super comfortable, and the knee room is limited – but you still get the same wealth of head room and enough space to get from point A to point B. I don’t think a road trip would great back there as an adult, but for our kids, it was basically the equivalent of being in a limo. The third row reclines (using power buttons!) – the same buttons will eventually fold the third row flat (in a 60/40 split). 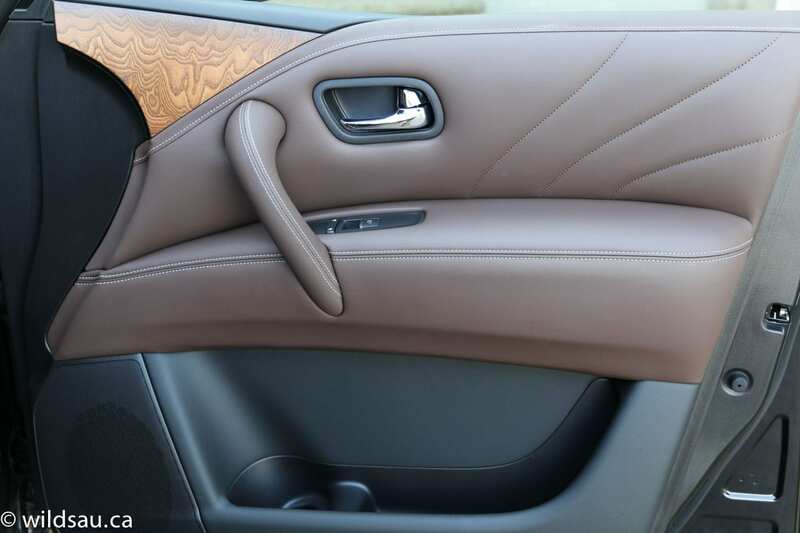 When it comes to places to put your stuff, there are plenty of bins, cupholders and the like – you won’t find a shortage of storage space. Of course the big real estate is in the back. Open the power lift gate and you’ll find a little space with the third row in use. 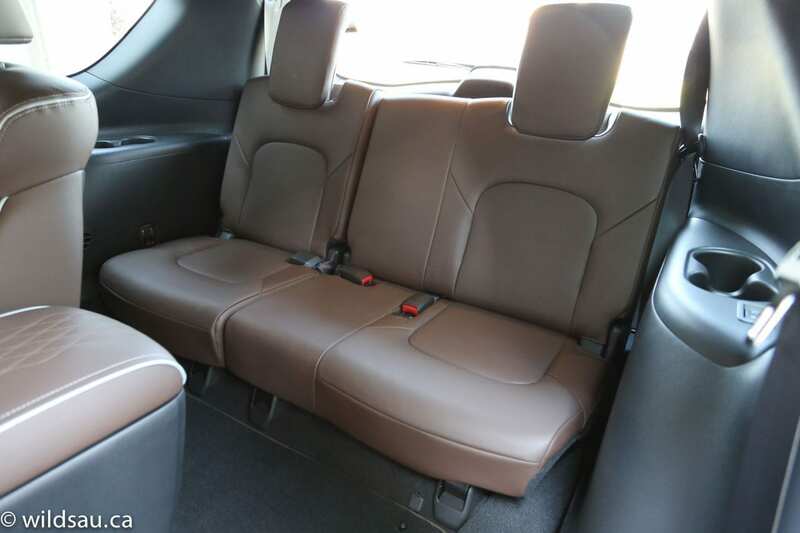 Fold the back seats flat, and there are 1405 litres of cargo space behind the second row. 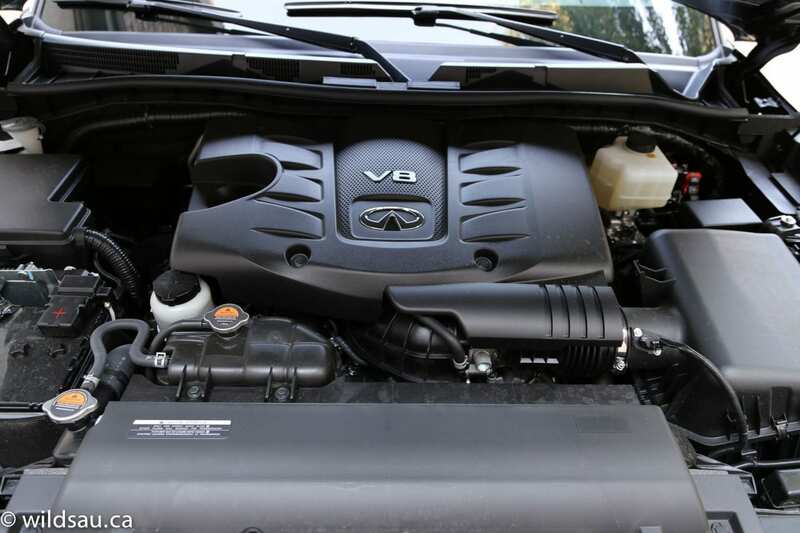 Infiniti’s 5.6-litre V8 lurks here, waiting to unleash 400 horsepower at a lofty 5800 RPM and 413 lb.ft of torque at 4000 RPM. 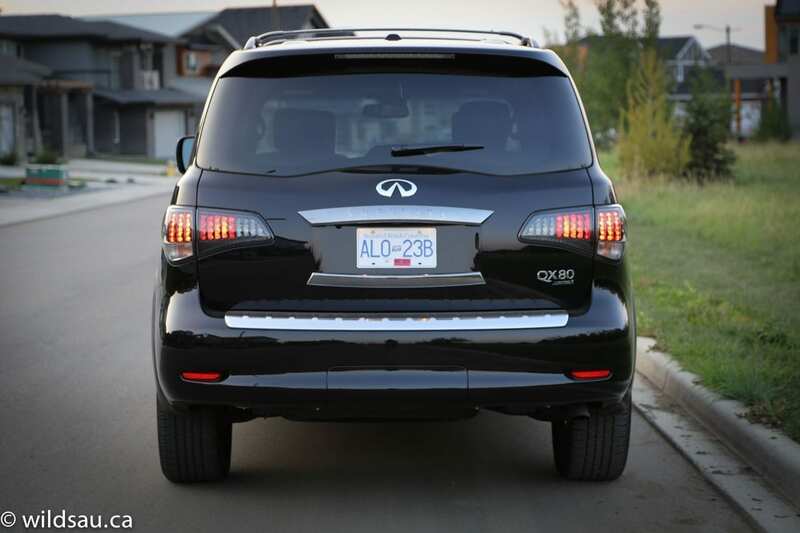 Mated to a 7-speed automatic (with manual shift mode, snow and towing modes) and an all-wheel drive system (with an electronically-controlled transfer case which allows you to choose between automatic, 4-high and 4-low modes), the QX80 has most everything you’d expect when it comes to propelling a huge SUV down the road. Nobody buys one of these for its efficiency. 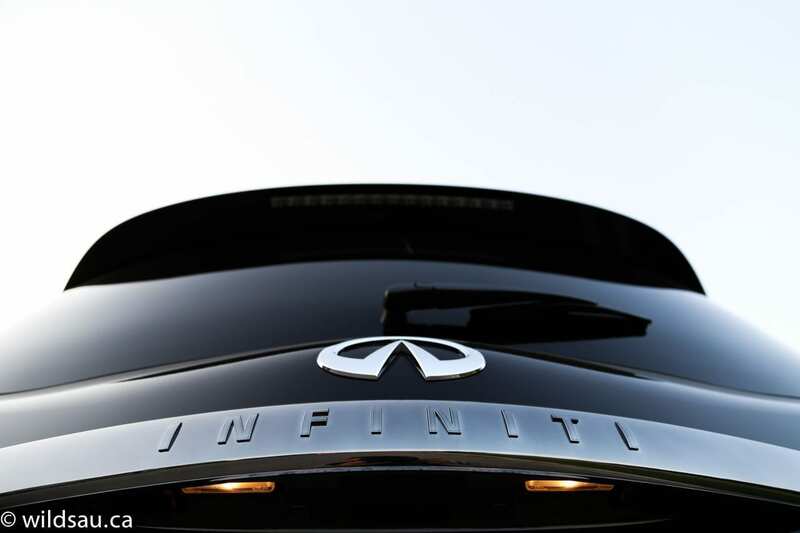 Infiniti rates it at 16.9 L/100 km (14 US mpg) in the city and 11.9 L/100 km (20 US mpg) on the highway. We spent a week doing our normal commutes, and tacked on a weekend of 500 km of highway driving and averaged a sobering 14.7 L/100 km (16 US mpg). 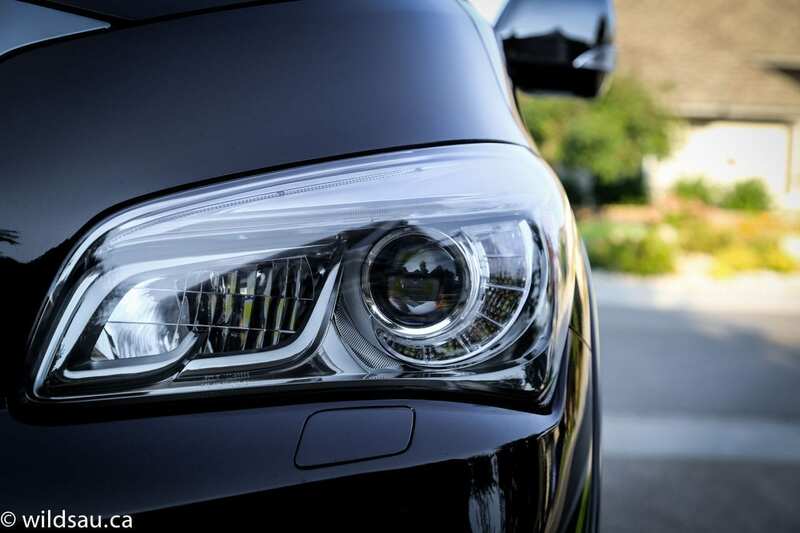 The vehicle’s driving position is high and affords you a great view of the road ahead – obviously the entire vehicle is quite tall. 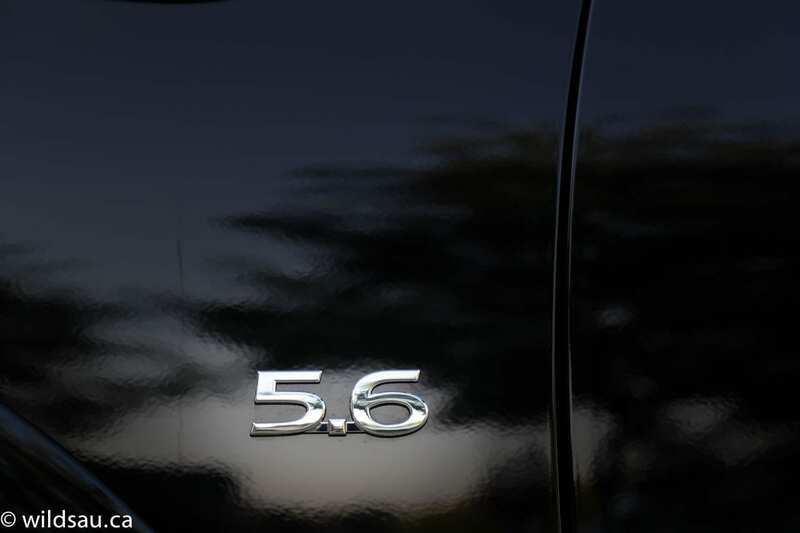 The big V8’s acceleration is smooth and surprisingly powerful if you step on it – and you get rewarded with a terrific soundtrack under heavy throttle as well. 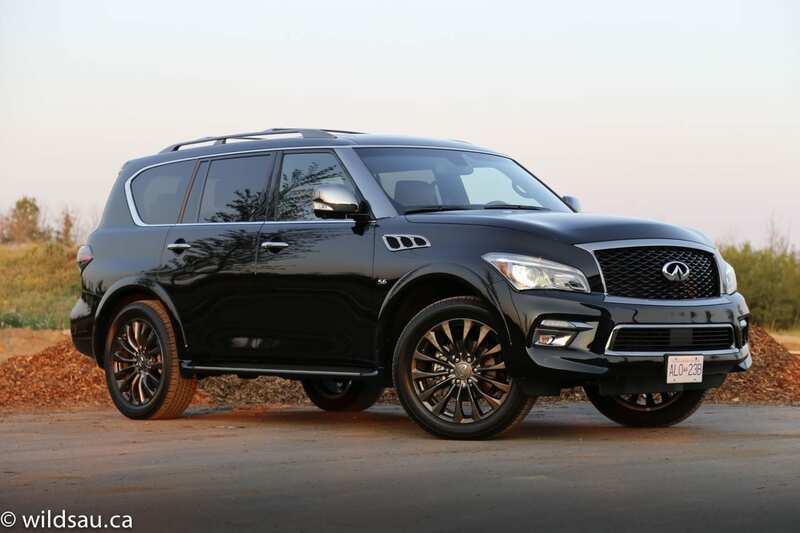 The ride is spectacular but even with the adaptive suspension, the handling is still boat-like and the QX80 leans mightily the moment you point it at any curve or corner. Unsurprising when you consider this tall 5888 pound monster isn’t made for the track. 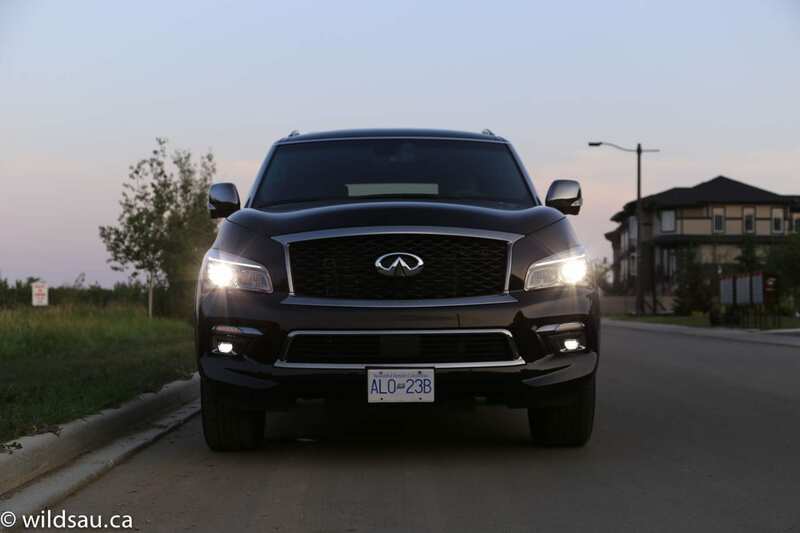 If you haven’t guessed it yet, the QX80 is a supreme highway cruiser. 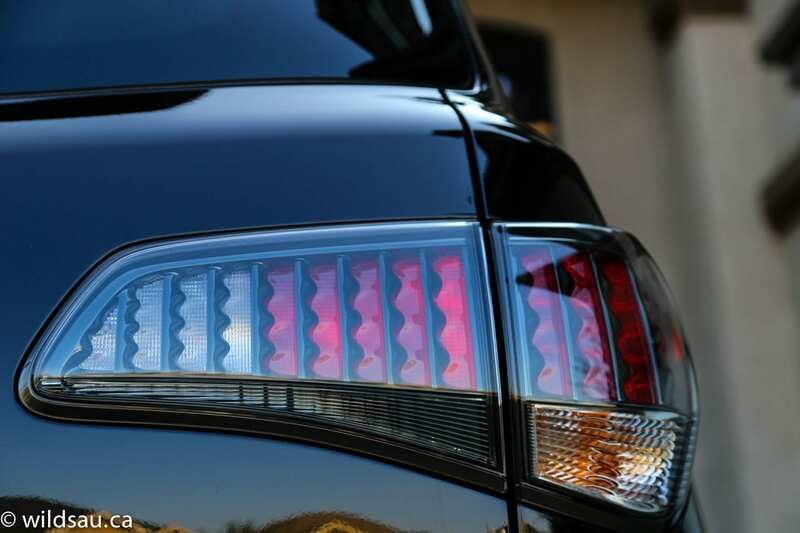 The comfort is unsurpassed, and it operates nearly silently. If you need to pull stuff, it has a very respectable towing capacity of 8500 pounds (3856 kg). 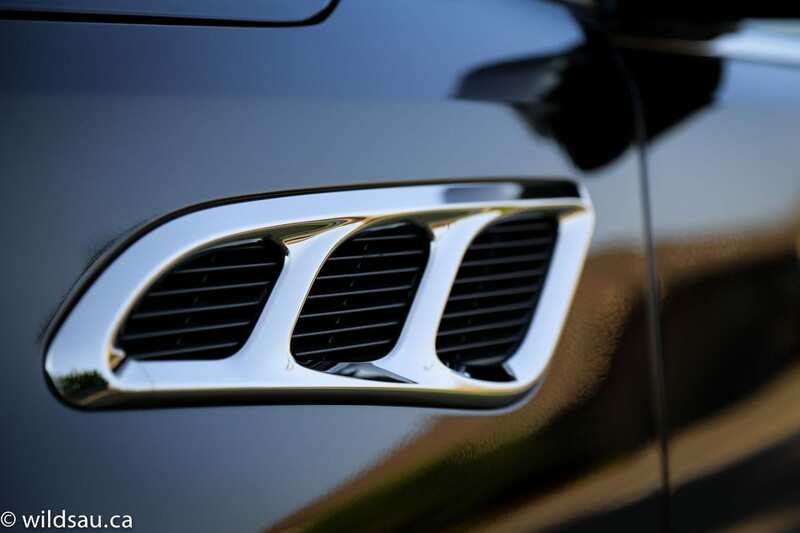 For a $90,000+ vehicle exuding luxury at every turn, the rough-hewn, crunchy monochrome graphics and fonts that you’ll find on the driver information screen between the two main gauges are a bit of a letdown. 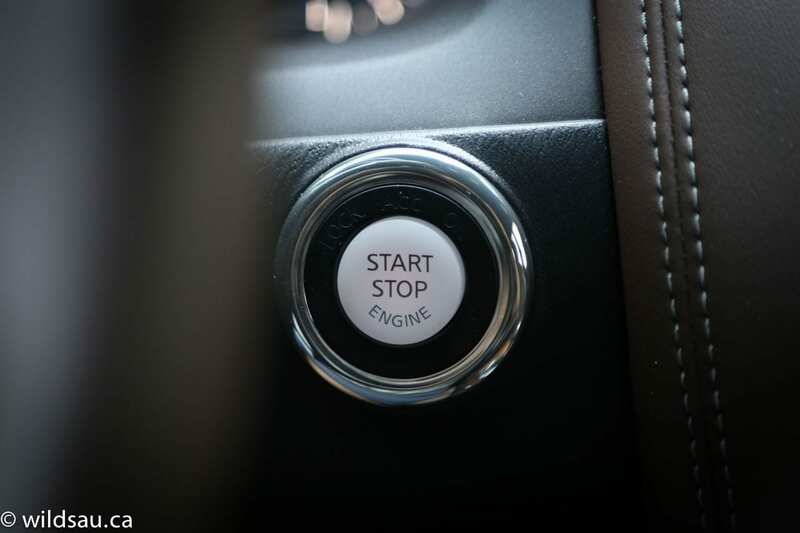 While the touchscreen interface is decent, accessing the system with the rotary joystick input device and its numerous hard buttons is less than intuitive at times. 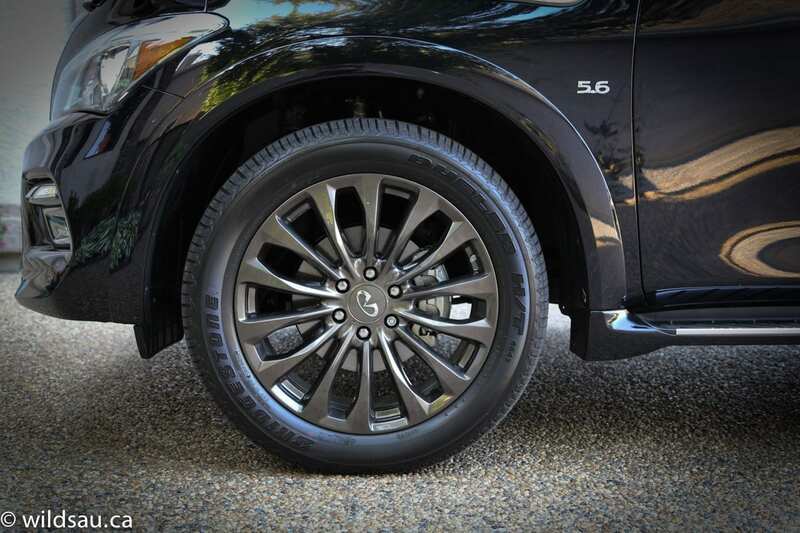 A subjective exterior that gets a lot of looks, an SUV that’s very pretty on the inside, any luxurious touch and most every bit of technology, plenty of space and the ability to tow. 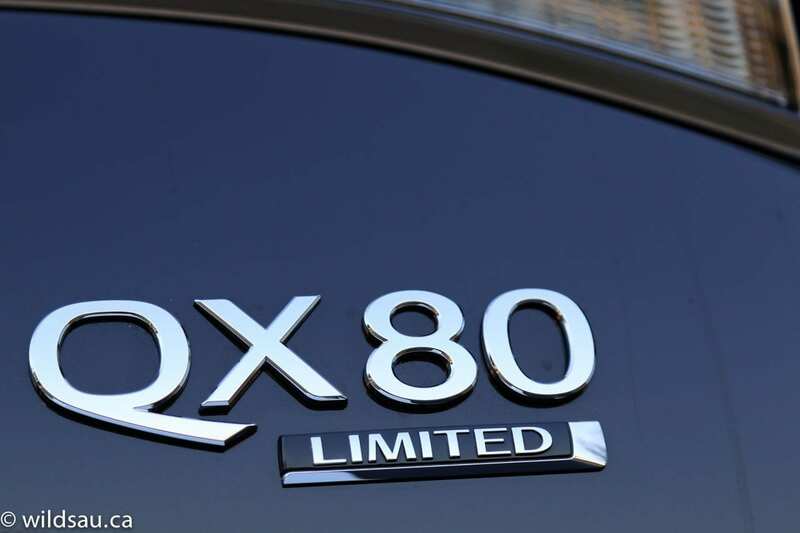 If you’re after these things, there aren’t a lot of players, and the QX80 does it all very well. WAF (Wife Acceptance Factor) was through the roof. 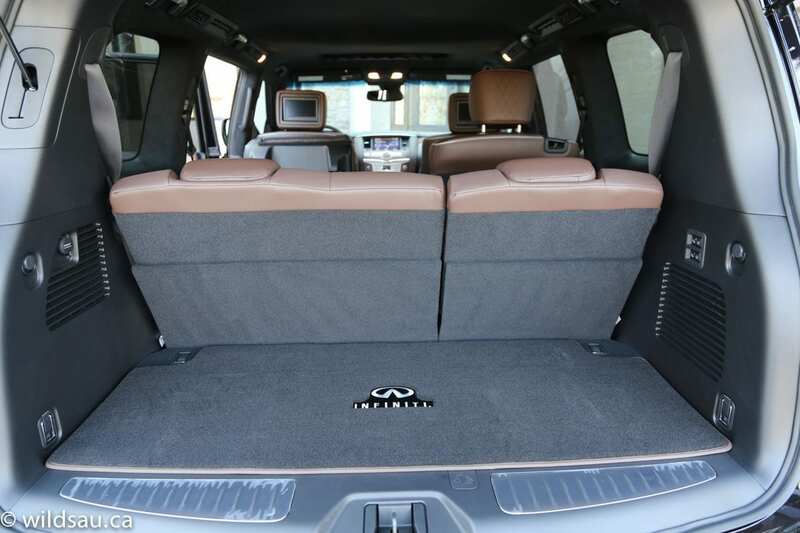 She loved the QX80, although she also admitted that she’d actually never want to drive one on a regular basis because of its size. But that didn’t change the fact that she loved how it looks (inside and out) and how much space it has.